Missouri softball under new head coach Larissa Anderson will have to sit out the 2019 postseason. Photo: Mizzou Softball. 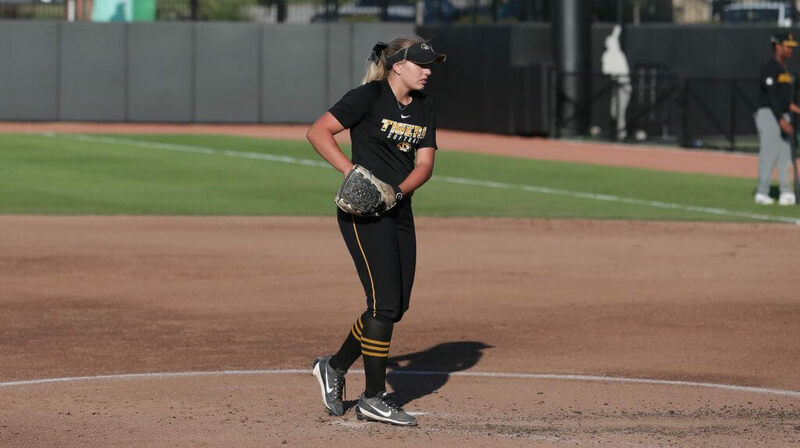 An NCAA decision handed down on Thursday afternoon included a one-year postseason ban for the Missouri Tigers softball team, among other punishments. The NCAA’s decision stems from violations relating to a former tutor at the school completing academic work for various student-athletes. According to an NCAA press release announcing the decision, the tutor predominantly completed online coursework, including exams, and even took an entire course for one athlete, who was determined to be a Tigers football player. None of the substantiated allegations were specifically designated as having affected the softball team, though the program was one of three university sports penalized in the final NCAA decision. That decision included a postseason ban for the Tigers football, baseball and softball teams that will affect the 2019 season (the 2019-20 season, in the case of football). Also included in the list of penalties was a vacation of records in which student-athletes competed who were later made ineligible by virtue of the NCAA committee's decision. Exactly which and how many games will be affected was not immediately known; Missouri is required to submit that information to the NCAA within forty-five days of the decision. Other penalties included a 5% percent reduction in scholarships for each of the affected sports - football, baseball, and softball - and recruiting restrictions on those same sports that included a 12.5% reduction in official visits; a seven-week ban on unofficial visits, recruiting communications, and off-campus recruiting contacts and evaluations, as well as a 12.5% reduction in recruiting-person or evaluation days. 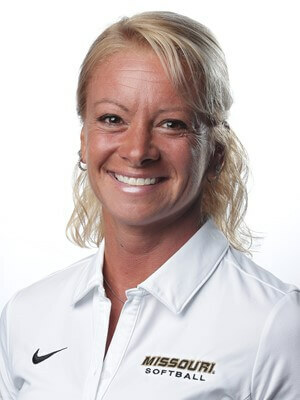 Missouri finished the 2018 season with a 30-29 overall record, and hired Larissa Anderson as head coach after the year. The Tigers will kick off the 2019 season, the first under Anderson’s leadership, on February 8 against Utah at the Kajikawa Classic in Tempe, Arizona.